Endogenous and recombinant bioactive Sclerostin. 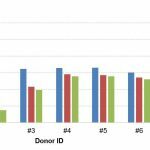 See validation data tab for: precision, accuracy, diltuion linearity, values for healthy donors, etc. The bioactive Sclerostin (SOST) immunoassay is a 3.5 hour, 96-well sandwich ELISA for the quantitative determination of bioactive Sclerostin in human serum, EDTA-plasma, and citrate plasma. The assay employs human serum-based standards to ensure the measurement of biologically reliable data. The bioactive Sclerostin (SOST) ELISA kit uses highly purified, epitope mapped antibodies with characterized binding kinetics. The bioactive Sclerostin ELISA kit is a sandwich enzyme immunoassay for the quantitative determination of bioactive Sclerostin (SOST) in human serum and plasma samples. This kit is a sandwich enzyme immunoassay for the quantitative determination of bioactive Sclerostin in human serum and plasma samples (EDTA, citrate). In a first step, assay buffer is pipetted into the wells of the microtiter strips. Thereafter, standards/samples/controls are pipetted into the wells, which are pre-coated with a recombinant anti-human monoclonal Sclerostin antibody. Any bioactive Sclerostin present in the standards/samples/controls binds to the pre-coated antibody in the well. After incubation, a washing step is applied where all non-specific unbound material is removed. In a next step, the conjugate (anti-human Sclerostin-HRP) is pipetted into the wells and reacts with bioactive Sclerostin present in the sample, forming a sandwich. After another washing step, the substrate (Tetramethylbenzidine; TMB) is pipetted into the wells. The enzyme catalyzed color reaction of the substrate is directly proportional to the amount of bioactive sclerostin in the sample. This color change is detectable with a standard microtiter plate ELISA reader. 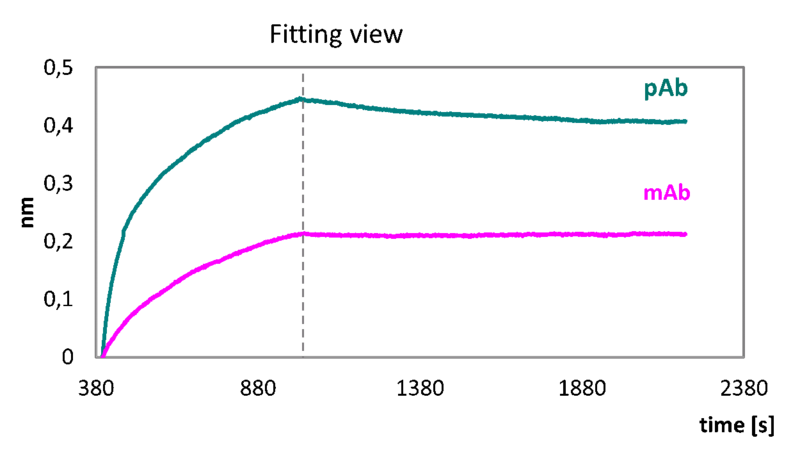 A dose response curve of the absorbance (optical density, OD, at 450 nm) versus standard concentration is generated, using the values obtained from the standards. The concentration of bioactive sclerostin in the sample is determined directly from the dose response curve. 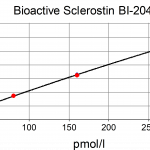 The figure below shows a typical standard curve for the bioactive Sclerostin (SOST) ELISA. The immunoassay is calibrated against recombinant human bioactive Sclerostin. Storage instructions: All reagents of the bioactive Sclerostin ELISA kit are stable at 4°C until the expiry date stated on the label of each reagent. Serum, EDTA plasma, citrate plasma, cell culture supernatant and urine are suitable for use in this assay. Do not change sample type during studies. We recommend duplicate measurements for all samples, standards and controls. The listed sample collection and storage conditions listed are intended as general guidelines. Collect venous blood samples in standardized serum separator tubes (SST) or standardized blood collection tubes using EDTA or citrate as an anticoagulant. For serum samples, allow samples to clot for 30 minutes at room temperature. Perform separation by centrifugation according to the tube manufacturer’s instructions for use. Assay the acquired samples immediately or aliquot and store at -25°C or lower. Lipemic or haemolysed samples may give erroneous results. Do not freeze-thaw samples more than five times. Note: the experiments performed to measure bioactive Sclerostin in urine samples did not undergo a full validation according to ICH guidelines. However, our performance check suggests that urine samples can be measured with this ELISA. For more information please refer to the validation data. Aseptically collect the first urine of the day (mid-stream), voided directly into a sterile container. Centrifuge to remove particulate matter, assay immediately or aliquot and store at -25°C or lower. Note: the experiments performed to measure bioactive Sclerostin in cell culture supernatant samples did not undergo a full validation according to ICH guidelines. However, our performance check suggests that cell culture supernatant samples can be measured with this ELISA. For more information please refer to the validation data. Remove particulates by centrifugation and assay immediately or aliquot and store samples at -25°C or lower. Do not freeze-thaw samples more than five times. Bring the WASHBUF concentrate to room temperature. Crystals in the buffer concentrate will dissolve at room temperature. Dilute the WASHBUF concentrate 1:20, e.g. 50 ml WASHBUF + 950 ml distilled or deionized water. Only use diluted WASHBUF when performing the assay. The diluted WASHBUF is stable up to one month at 4°C (2-8°C). Pipette 250 µl of distilled or deionized water into each standard (STDs) and controls (CTRLs) vial. The exact concentration is printed on the label of each vial. Leave at room temperature (18-26°C) for 15 min. Vortex gently. Reconstituted STDs and CTRLs are stable at -25°C or lower until expiry date stated on the label. STDs and CTRLs are stable for at least 4 freeze-thaw cycles. For the preparation of a cell culture-based standard curve always use the identical cell culture medium (CCM) as used for the experiment. Reconstitute standard 7 (STD7) in 250 µl deionized water. Leave at room temperature (18-26°C) for 15 min and mix well before making dilutions. Use polypropylene tubes. Mark tubes ccSTD6 to ccSTD1. 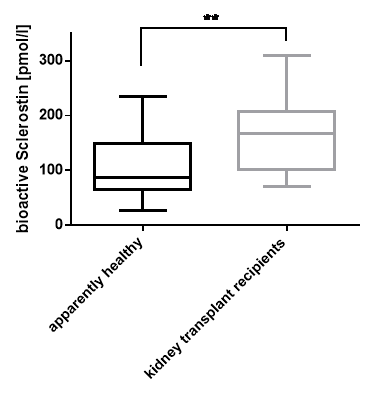 Prepare a twofold serial dilution to obtain STD6 to STD2. e.g. Dispense 100 µl cell culture medium into each vial. Pipette 100 µl of STD7 into tube marked as ccSTD6 (containing 100 µl cell culture medium). Transfer 100 µl of ccSTD6 into the tube marked as ccSTD5. Mix thoroughly. Continue in the same fashion to obtain ccSTD4 to standard 2. CCM serves as the ccSTD1 (0 nmol/l bioactive Sclerostin). Using the prepared standards, follow the protocol as indicated for serum samples. Attention: Supplied STD1-STD7 and controls are only valid for serum and should not be used for cell culture measurements. Bring samples to room temperature and mix samples gently to ensure the samples are homogenous. We recommend duplicate measurements for all samples. 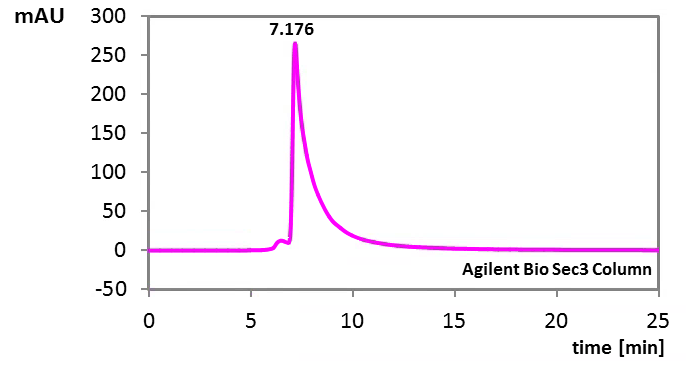 Samples with values above STD7 (320 pmol/l) can be diluted with ASYBUF (Assay buffer). Read the entire protocol before beginning the assay. Bring samples and reagents to room temperature (18-26°C). Mark positions for STD/SAMPLE/CTRL (Standard/Sample/Control) on the protocol sheet. Take microtiter strips out of the aluminum bag. Store unused strips with desiccant at 4°C in the aluminum bag. Strips are stable until expiry date stated on the label. Pipette 100 µl ASYBUF (assay buffer, red cap) into each well. Add 20 µl STD/SAMPLE/CTRL (Standard/Sample/Control) in duplicate into respective well. Swirl gently. Cover tightly and incubate for 2 hours at room temperature (18-26°C). Add 100 µl CONJ (Conjugate, amber cap) into each well. Swirl gently. Cover tightly and incubate for 1 hour at room temperature (18-26°C) in the dark. Aspirate and wash wells 5x with 300 µl diluted WASHBUF (Wash buffer). After the final wash, remove remaining WASHBUF by strongly tapping plate against paper towel. Incubate for 30 min at room temperature (18-26°C) in the dark. Read the optical density (OD) of all wells on a plate reader using 450 nm wavelength (reference wavelength 630 nm). 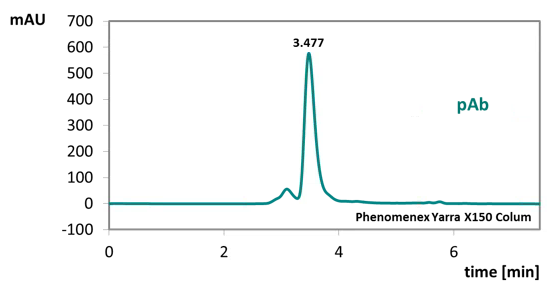 Construct a standard curve from the absorbance read-outs of the standards using commercially available software capable of generating a four-parameter logistic (4-PL) fit. Alternatively, plot the standards’ concentration on the x-axis against the mean absorbance for each standard on the y-axis and draw a best fit curve through the points on the graph. Curve fitting algorithms other than 4-PL have not been validated and will need to be evaluated by the user. Obtain sample concentrations from the standard curve. If required, pmol/l can be converted into pg/ml by applying a conversion factor (Sclerostin: 1 pg/ml = 0.044 pmol/l, 1 pmol/l = 22.5 pg/ml (MW: 22.5 kDa)). Respective dilution factors must be considered when calculating the final concentration of the sample. The quality control protocol supplied with the kit shows the results of the final release QC for each kit lot. Data for optical density obtained by customers may differ due to various influences and/or due to the normal decrease of signal intensity during shelf life. However, this does not affect validity of results as long as an OD of 1.50 or more is obtained for the standard with the highest concentration and the values of the CTRLs are in range (target ranges see labels). Sclerostin is a 22.5 kDa secreted glycoprotein that functions as a potent inhibitor of Wnt signaling. Sclerostin is a product of the SOST gene and it acts by binding to the Wnt-coreceptor LRP5/6 thus inhibiting bone formation by regulating osteoblast function and promoting osteoblast apoptosis. The Sclerostin protein consists of two flexible N- and C-terminal arms and a cystine-knot with three loops, whereas the second loop binds to the LRP5/6 complex. Sclerostin is classically considered to be a monomeric protein, but data from Hernandez and colleagues (Hernandez et al., 2014) postulate that circulating sclerostin has a dimeric configuration. In addition, it is not yet well documented if Sclerostin fragments also circulate, but the comparison of different Sclerostin ELISAs suggest that fragments exist as well (Dallas et al., 2013). Sclerostin is nearly exclusively produced in osteocytes (van Bezooijen et al., 2009). Mutations in the Sclerostin (SOST) gene can cause sclerosteosis and van Buchem disease which are bone dysplasia disorders characterized by progressive skeletal overgrowth (Wergedal et al., 2003). Sclerostin levels are altered in response to hormonal stimuli or due to pathophysiological conditions. Sclerostin concentrations are increased in disorders such as hypoparathyroidism (Costa et al., 2011), Paget’s disease (Yavropoulou et al., 2012), multiple myeloma (Terpos et al., 2012) and in cancer induced bone diseases (Yavropoulou et al., 2012). Sclerostin levels are decreased in primary hyperparathyroidism (Lierop et al., 2010), as well as by the mechanical stimulation of bone (Robling et al., 2008). Several studies have found a positive association between sclerostin and bone mineral density (Amrein et al., 2012; Garnero et al., 2013). Sclerostin levels in chronic kidney disease (CKD) patients are increased up to 4-fold compared to patients without CKD and increase with CKD stage and declining kidney function (Cejka et al., 2012; Pelletier et al., 2013). In CKD patients, renal elimination of sclerostin increases with decreasing renal function (Cejka et al., 2014). In dialysis patients, sclerostin is an independent predictor of bone loss (Malluche et al., 2014). Numerous studies have shown that serum sclerostin levels are also associated with cardiovascular events (Kanbay et al., 2014; Viaene et al., 2013). The FDA authorization of a humanized monoclonal Sclerostin antibody for the treatment of osteoporosis in patients at high risk is currently under investigation (McClung, 2017). For reviews please see references (Costa et al., 2017; Drake and Khosla, 2017). Sclerostin measurement in human disease: Validity and current limitations. Costa, A.G., Cremers, S., Bilezikian, J.P., 2017. Bone 96, 24–28. Hormonal and systemic regulation of sclerostin. Drake, M.T., Khosla, S., 2017. Bone 96, 8–17. Clinical utility of anti-sclerostin antibodies. McClung, M.R., 2017. Bone 96, 3–7. Renal elimination of sclerostin increases with declining kidney function. 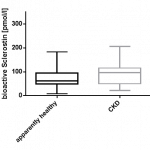 Cejka, D., Marculescu, R., Kozakowski, N., Plischke, M., Reiter, T., Gessl, A., Haas, M., 2014. J. Clin. Endocrinol. Metab. 99, 248–255. New insights into the location and form of sclerostin. Hernandez, P., Whitty, C., John Wardale, R., Henson, F.M.D., 2014. Biochem. Biophys. Res. Commun. 446, 1108–1113. Serum sclerostin and adverse outcomes in nondialyzed chronic kidney disease patients. Kanbay, M., Siriopol, D., Saglam, M., Kurt, Y.G., Gok, M., Cetinkaya, H., Karaman, M., Unal, H.U., Oguz, Y., Sari, S., Eyileten, T., Goldsmith, D., Vural, A., Veisa, G., Covic, A., Yilmaz, M.I., 2014. J. Clin. Endocrinol. Metab. 99, E1854-1861. Bone Mineral Density and Serum Biochemical Predictors of Bone Loss in Patients with CKD on Dialysis. Malluche, H.H., Davenport, D.L., Cantor, T., Monier-Faugere, M.-C., 2014. Clin. J. Am. Soc. Nephrol. 9, 1254–1262. The osteocyte: an endocrine cell ... and more. Dallas, S.L., Prideaux, M., Bonewald, L.F., 2013. Endocr. Rev. 34, 658–690. Association of circulating sclerostin with bone mineral mass, microstructure, and turnover biochemical markers in healthy elderly men and women. Durosier, C., van Lierop, A., Ferrari, S., Chevalley, T., Papapoulos, S., Rizzoli, R., 2013. J. Clin. Endocrinol. Metab. 98, 3873–3883. Association of serum sclerostin with bone mineral density, bone turnover, steroid and parathyroid hormones, and fracture risk in postmenopausal women: the OFELY study. Garnero, P., Sornay-Rendu, E., Munoz, F., Borel, O., Chapurlat, R.D., 2013. Osteoporos. Int. J. Establ. Result Coop. Eur. Found. Osteoporos. Natl. Osteoporos. Found. USA 24, 489–494. The relation between renal function and serum sclerostin in adult patients with CKD. Pelletier, S., Dubourg, L., Carlier, M.-C., Hadj-Aissa, A., Fouque, D., 2013. Clin. J. Am. Soc. Nephrol. CJASN 8, 819–823. Sclerostin: another bone-related protein related to all-cause mortality in haemodialysis? Viaene, L., Behets, G.J., Claes, K., Meijers, B., Blocki, F., Brandenburg, V., Evenepoel, P., D’Haese, P.C., 2013. Nephrol. Dial. Transplant. Off. Publ. Eur. Dial. Transpl. Assoc. - Eur. Ren. Assoc. 28, 3024–3030. Sclerostin and its association with physical activity, age, gender, body composition, and bone mineral content in healthy adults. Amrein, K., Amrein, S., Drexler, C., Dimai, H.P., Dobnig, H., Pfeifer, K., Tomaschitz, A., Pieber, T.R., Fahrleitner-Pammer, A., 2012. J. Clin. Endocrinol. Metab. 97, 148–154. Sclerostin serum levels correlate positively with bone mineral density and microarchitecture in haemodialysis patients. Cejka, D., Jager-Lansky, A., Kieweg, H., Weber, M., Bieglmayer, C., Haider, D.G., Diarra, D., Patsch, J.M., Kainberger, F., Bohle, B., Haas, M., 2012. Nephrol. Dial. Transplant. 27, 226–230. Characterization of the interaction of sclerostin with the low density lipoprotein receptor-related protein (LRP) family of Wnt co-receptors. Holdsworth, G., Slocombe, P., Doyle, C., Sweeney, B., Veverka, V., Le Riche, K., Franklin, R.J., Compson, J., Brookings, D., Turner, J., Kennedy, J., Garlish, R., Shi, J., Newnham, L., McMillan, D., Muzylak, M., Carr, M.D., Henry, A.J., Ceska, T., Robinson, M.K., 2012. J. Biol. Chem. 287, 26464–26477. Elevated circulating sclerostin correlates with advanced disease features and abnormal bone remodeling in symptomatic myeloma: reduction post-bortezomib monotherapy. Terpos, E., Christoulas, D., Katodritou, E., Bratengeier, C., Gkotzamanidou, M., Michalis, E., Delimpasi, S., Pouli, A., Meletis, J., Kastritis, E., Zervas, K., Dimopoulos, M.A., 2012. Int. J. Cancer 131, 1466–1471. Serum sclerostin levels in Paget’s disease and prostate cancer with bone metastases with a wide range of bone turnover. Yavropoulou, M.P., van Lierop, A.H., Hamdy, N.A.T., Rizzoli, R., Papapoulos, S.E., 2012. Bone 51, 153–157. Circulating Sclerostin in Disorders of Parathyroid Gland Function. Costa, A.G., Cremers, S., Rubin, M.R., McMahon, D.J., Sliney, J., Lazaretti-Castro, M., Silverberg, S.J., Bilezikian, J.P., 2011. J. Clin. Endocrinol. Metab. 96, 3804–3810. Determination of serum and plasma sclerostin concentrations by enzyme-linked immunoassays. McNulty, M., Singh, R.J., Li, X., Bergstralh, E.J., Kumar, R., 2011. J. Clin. Endocrinol. Metab. 96, E1159-1162. Patients with primary hyperparathyroidism have lower circulating sclerostin levels than euparathyroid controls. Lierop, A.H. van, Witteveen, J.E., Hamdy, N. a. T., Papapoulos, S.E., 2010. Eur. J. Endocrinol. 163, 833–837. Sclerostin in mineralized matrices and van Buchem disease. van Bezooijen, R.L., Bronckers, A.L., Gortzak, R.A., Hogendoorn, P.C.W., van der Wee-Pals, L., Balemans, W., Oostenbroek, H.J., Van Hul, W., Hamersma, H., Dikkers, F.G., Hamdy, N. a. T., Papapoulos, S.E., Löwik, C.W.G.M., 2009. J. Dent. Res. 88, 569–574. Characterization of the structural features and interactions of sclerostin: molecular insight into a key regulator of Wnt-mediated bone formation. Veverka, V., Henry, A.J., Slocombe, P.M., Ventom, A., Mulloy, B., Muskett, F.W., Muzylak, M., Greenslade, K., Moore, A., Zhang, L., Gong, J., Qian, X., Paszty, C., Taylor, R.J., Robinson, M.K., Carr, M.D., 2009. J. Biol. Chem. 284, 10890–10900. Mechanical stimulation of bone in vivo reduces osteocyte expression of Sost/sclerostin. Robling, A.G., Niziolek, P.J., Baldridge, L.A., Condon, K.W., Allen, M.R., Alam, I., Mantila, S.M., Gluhak-Heinrich, J., Bellido, T.M., Harris, S.E., Turner, C.H., 2008. J. Biol. Chem. 283, 5866–5875. Patients with Van Buchem disease, an osteosclerotic genetic disease, have elevated bone formation markers, higher bone density, and greater derived polar moment of inertia than normal. Wergedal, J.E., Veskovic, K., Hellan, M., Nyght, C., Balemans, W., Libanati, C., Vanhoenacker, F.M., Tan, J., Baylink, D.J., Van Hul, W., 2003. J. Clin. Endocrinol. Metab. 88, 5778–5783. All Biomedica ELISAs are validated according to international FDA/ICH/EMEA guidelines. For more information about our validation guidelines, please refer to our quality page and published validation guidelines and literature. ICH Q2(R1) Validation of Analytical Procedures: Text and Methodology. EMEA/CHMP/EWP/192217/2009 Guideline on bioanalytical method validation. The bioactive Sclerostin immunoassay is calibrated against recombinant bioactive Sclerostin protein UniProtKB - Q9BQB4 (SOST_HUMAN) https://www.uniprot.org/uniprot/Q9BQB4. To determine the sensitivity of the bioactive Sclerostin ELISA, experiments measuring the Lower Limit of Detection (LOD) and the Lower Limit of Quantification (LLOQ) were conducted. 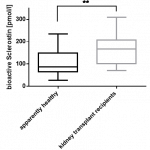 The LOD, also called the detection limit, is the lowest point at which a signal can be distinguished above the background signal, i.e. the signal that is measured in the absence of bioactive Sclerostin, with a confidence level of 99%. It is defined as the mean back calculated concentration of standard 1 (0 pmol/l of bioactive Sclerostin, five independent measurements) plus three times the standard deviation of the measurements. 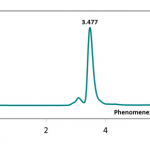 The LLOQ, or sensitivity of an assay, is the lowest concentration at which an analyte can be accurately quantified. The criteria for accurate quantification at the LLOQ are an analyte recovery between 75 and 125% and a coefficient of variation (CV) of less than 25%. 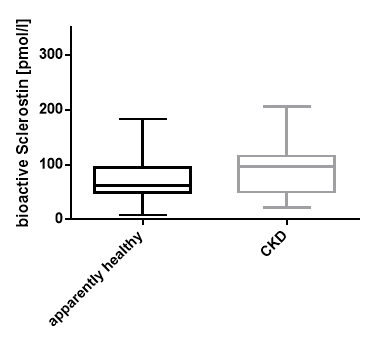 To determine the LLOQ, standard 2, i.e. the lowest standard containing bioactive Sclerostin, is diluted, measured five times and its concentration is back calculated. The lowest dilution, which meets both criteria, is reported as the LLOQ. 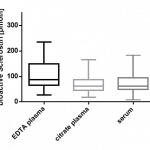 The precision of an ELISA is defined as its ability to measure the same concentration consistently within the same experiments carried out by one operator (within-run precision or repeatability) and across several experiments using the same samples but conducted by several operators at different locations using different ELISA lots (in-between-run precision or reproducibility). Within-run / intra-assay precision was assessed by measuring two samples of known concentrations three times within one bioactive Sclerostin ELISA lot by one operator. In-between-run precision / intra-assay precision was assessed by measuring two samples seven times within two bioactive Sclerostin ELISA lots by two operators. The accuracy of an ELISA is defined as the precision with which it can recover samples of known concentrations. The recovery of the bioactive SclerostinELISA was measured by adding recombinant bioactive Sclerostin to clinical samples containing a known concentration endogenous bioactive Sclerostin. The %recovery of the spiked concentration was calculated as the percentage of measured compared over the expected value. All our ELISAs are expected to have %recovery rates within 15% of the nominal value of the sample. Recovery of spiked samples was tested by adding 2 concentrations of human recombinant bioactive Sclerostin (26 pmol/l + 110 pmol/l) to different human sample matrices. Tests of dilution linearity and parallelism ensure that both endogenous and recombinant samples containing bioactive Sclerostin behave in a dose dependent manner and are not affected by matrix effects. Dilution linearity assesses the accuracy of measurements in diluted clinical samples spiked with known concentrations of recombinant analyte. By contrast, parallelism refers to dilution linearity in clinical samples and provides evidence that the endogenous analyte behaves in same way as the recombinant one. Dilution linearity and parallelism are assessed for each sample type and are considered acceptable if the results are within ± 20% of the expected concentration. Dilution linearity was assessed by serially diluting samples spiked with 110 pmol/l recombinant bioactive Sclerostin with assay buffer. All samples were diluted in assay buffer provided in the kit. human blood samples (reference) containing endogenous bioactive Sclerostin. Parallelism was assessed by serially diluting samples containing endogenous bioactive Sclerostin with assay buffer. Dilution linearity was assessed by serially diluting samples containing 110 pmol/l recombinant bioactive Sclerostin with assay buffer. The specificity of an ELISA is defined as its ability to exclusively recognize the analyte of interest. The specificity of the bioactive Sclerostin ELISA was shown by characterizing both the capture and the detection antibody through epitope mapping with overlapping peptides spotted to a microarray, characterization of binding kinetics with biolayer interferometry measurements and determination of antibody purity with size exclusion chromatography and affinity measurements. In addition, the specificity of the ELISA was established through competition experiments, which measure the ability of the antibodies to exclusively bind bioactive Sclerostin. Antibody binding sites were determined by epitope mapping using microarray analysis (Pepperprint GmbH). 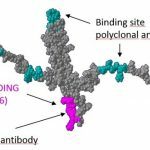 Antibody affinities to bioactive Sclerostin were tested by biolayer interferometry measurements (Octet), which measures the binding of antibodies to a bioactive Sclerostin coated sensor. The results of these measurements are shown in the figure below. Both ELISA antibodies utilized in the “bioactive Sclerostin ELISA” bind to Sclerostin with high affinity. Biolayer interferometry measurements (Octet) of monoclonal coating antibody (mAb, pink) and polyclonal detection antibody (pAb, turquoise) binding to a sensor coated with sclerostin protein. Both antibodies used in the bioactive Sclerostin ELISA bind to bioactive Sclerostin with high affinity. Both the coating and detection antibodies were purified by HPLC. The figures below reveal the high purity (>95%) of the antibody monomers used in the bioactive Sclerostin ELISA. HPLC analysis of both antibodies. 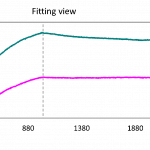 Size exclusion chromatography (SEC) of monoclonal antibody (mAb, pink) and polyclonal antibody (pAb, turquoise). 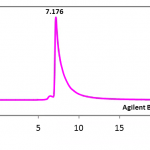 The monoclonal antibody was analyzed using an Agilent Bio Sec column, whereas for the polyclonal antibody a Phenomenex Yarra X150 column was used. Competition experiments were carried out by pre-incubating human samples, containing endogenous concentrations of human bioactive Sclerostin, with an excess of coating antibody. The concentration measured in this mixture was then compared to a reference value, which was obtained from the same sample but without the pre-incubation step. The stability of endogenous bioactive Sclerostin was tested by comparing measurements in samples that had undergone up to four freeze-thaw cycles. For freeze-thaw experiments, samples were collected according to the supplier’s instruction using blood collection devices and stored at -80°C. A set of samples (3 sera, 3 EDTA plasma, 2 citrate plasma) was aliquoted and freeze-thaw stressed. The reference samples are freeze thawed once. 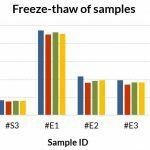 Samples can undergo 4 freeze-thaw cycles. The mean recovery of sample concentrations stressed by 4 freeze-thaw cycles is 93%. Samples can undergo at least up to 4 freeze-thaw cycles. To provide expected values for circulating bioactive Sclerostin, a panel of samples from apparently healthy donors was tested. It is recommended to establish the normal range for each laboratory. To assess whether all tested matrices behave the same way in the bioactive Sclerostin ELISA, concentrations of bioactive Sclerostin were measured in serum, EDTA, and citrate plasma samples prepared from six apparently healthy donors. Each individual donated blood in all tested sample matrices. Measured values of human bioactive Sclerostin in serum are lower compared to plasma in an apparently healthy cohort (n=6). 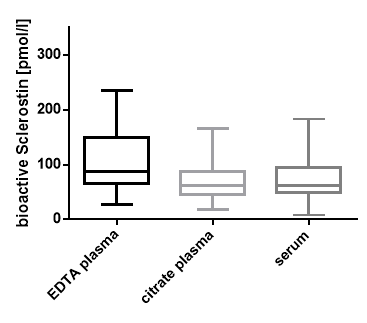 It has been shown that Sclerostin values differ between serum and plasma even when these assays are validated in both matrices (McNulty et al., 2011). Measurements of Sclerostin in plasma are generally higher than in serum. The reasons for this difference are still unclear, however it is assumed that coagulation process under conditions of serum collection might reduce the accessibility of recognizable determinants (Costa et al., 2017). Figure showing matrix comparison of bioactive Sclerostin sample concentrations between serum, EDTA plasma, and citrate plasma in an apparently healthy cohort (n=6). Why is heparin plasma not suggested as a sample matrix in this ELISA? Heparin mainly binds on loop2 and loop3 of the Sclerostin molecule. Heparin disturbs the binding of the detection antibody utilized in this ELISA assay. For this reason, heparin-plasma cannot be measured with this assay. Biomedica’s Sclerostin ELISA (cat.no. 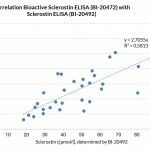 BI-20492*) was compared with the bioactive Sclerostin ELISA (cat.no. BI-20472**). The same panel of samples was tested (16 EDTA plasma samples and 16 serum samples). The correlation between the two assays was R= 0.58. Results: The correlation between the two assays resulted in R2=0.58. 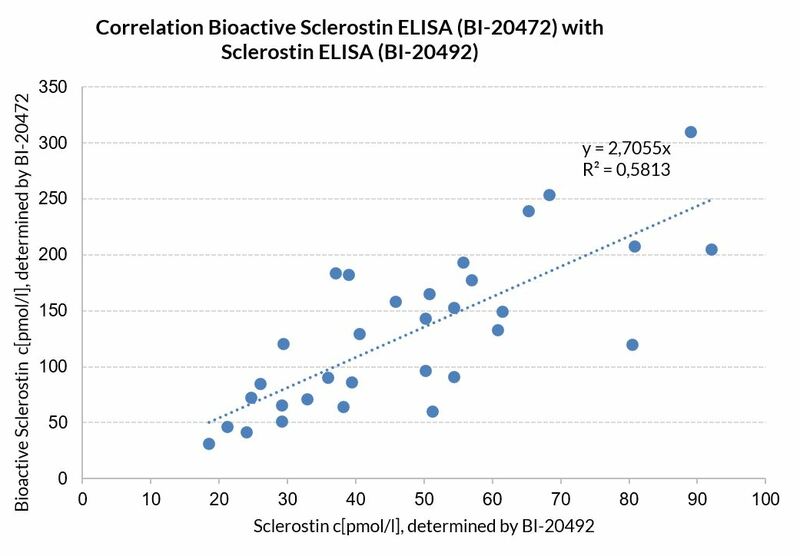 Sclerostin sample values measured with the Biomedica “bioactive Sclerostin ELISA” (cat no BI-20472) are higher than in the Biomedica “Sclerostin ELISA” (cat no BI-20492). The results demonstrate that the antibodies utilized in both assays bind to different regions of the Sclerostin molecule. The monoclonal capture antibody of the bioactive Sclerostin ELISA binds to the receptor binding site of Sclerostin; a region that is most probably more robust to cleavage.